Did some leisurely birding around Larnaca this morning. Not a lot around the Sewage Works side of the Salt Lake, which is virtually dry, though did find a Greater Sand Plover, two Eurasian Stone Curlew, a Masked Shrike and a Common Nightingale in the area as well as three Ferruginous Duck, eighty Black-winged Stilt and over fifty Slender-billed Gull on the Sewage Pools. A female Pallid Harrier and second calendar year male Western Marsh Harrier were migrating over. Petounta Point was also almost dry. I had another migrating Marsh Harrier as well as a Eurasian Hoopoe, a flava Yellow Wagtail and several Isabelline, Northern and Black-eared Wheatear. I decided to go to Kivisilli fields on the spur of the moment and was glad I did. A female Marsh Harrier was resting on a recently harvested field and a male Pallid Harrier flew over as soon as I drove in. Heading inland I saw several Kestrels around – most of those though were Common. Around 12.15pm a small group of birds gaining height caught my eye – at least ten Lesser Kestrel were in the group together with three female Pallid Harrier, another two female Marsh Harrier and best of all an immature Lesser Spotted Eagle. Was lucky to be in the right place at the right time. In the distance more Kestrels could be seen but it was now too hazy to tell if they were Common or Lesser. Also in the fields were at least fifteen Greater Short-toed Lark, an Isabelline Wheatear, two Tree Pipit and two Tawny Pipit, a Hoopoe, a Masked Shrike and a Common Nightingale. 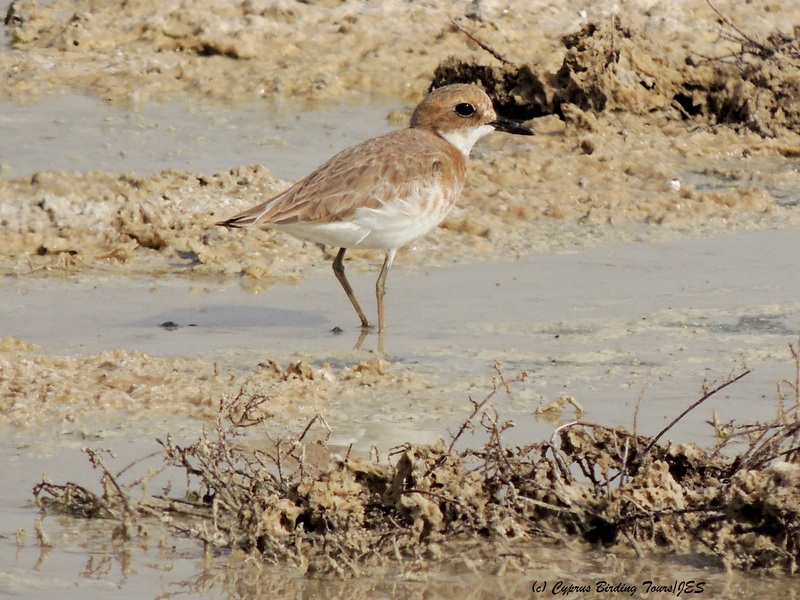 Categories: Birding | Tags: Cyprus Birding, Cyprus birds, Cyprus birdwatching, Ferruginous Duck, Greater Sand Plover, Larnaca birdwatching, Larnaca Salt Lake, Larnaca Sewage Works, Lesser Kestrel, Lesser Spotted Eagle, Pallid Harrier | Permalink.